Click here to see the full programme! Click here to check out the full photo gallery! Proudly presented by the Serendipity Trust, the Mosaic Festival offered children a day of world adventure, celebrating the diverse cultural communities living in Sri Lanka. The Mosaic Festival was held to celebrate the International Day of Cultural Diversity. A mosaic is a piece of art made from many colourful pieces of tile. Imagine a mosaic of different colourful pieces making a beautiful design, but also individually emphasizing the uniqueness of our world. Every mosaic piece is special and colourful in its own right, but when placed together, we find a whole more beautiful than its parts. On arrival children ‘checked-in’ to collect their ‘Mosaic Passport’ which gave free entry to a diverse array of activity tents where they experienced the talents, vibrant colours and infectious sounds of the many cultural groups in Sri Lanka. Throughout the day young participants had their passports stamped as they ‘traveled around the world’ immersing themselves in cultural traditions, crafts, costumes, dances, performances, songs and shared traditional and delicious foods with one another. The day was an adventure of different traditions, vibrant costumes, dances, performances, songs and workshops. The heart of the festival brimmed with curiosity, harmony and playfulness. Through these new community connections, the children found a common ground between cultures and developed a richer awareness of the beautiful world around them. 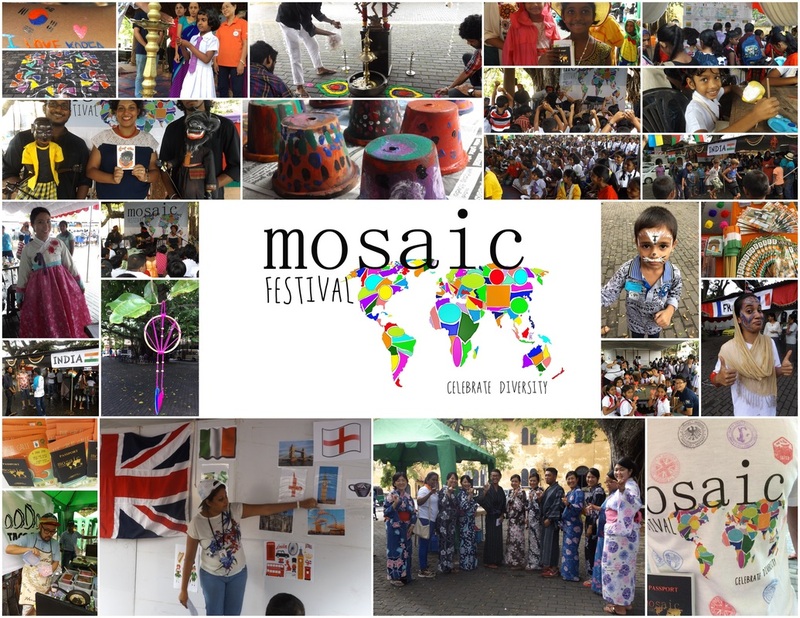 The Mosaic Festival was held on Saturday 28th May 2016 at the Law Court Square, Galle Fort. The Serendipity Trust partnered with various cultural organisations and groups operating in Sri Lanka to offer a range of workshops and activities for children.